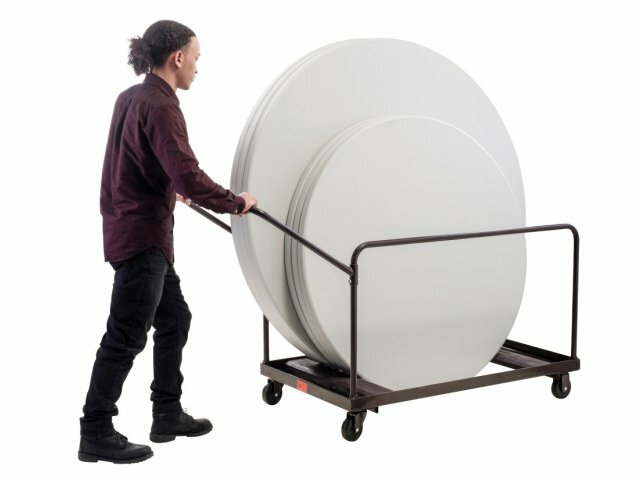 Move or store your round folding table on these heavy-duty trucks. Can hold up to 8-10 48" or 60"-dia. tables. 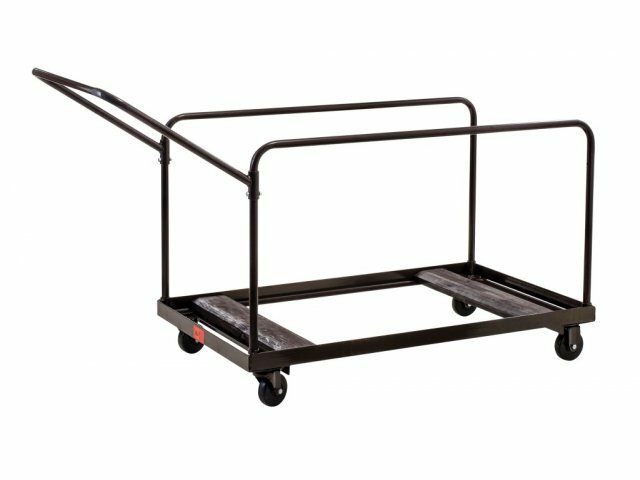 4" Heavy-Duty, hard-rubber casters (2 Swivel) are easier on your floors. 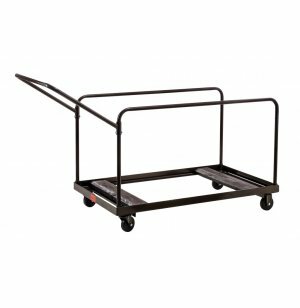 Smartly-designed handle makes table truck easy to push even when fully loaded.